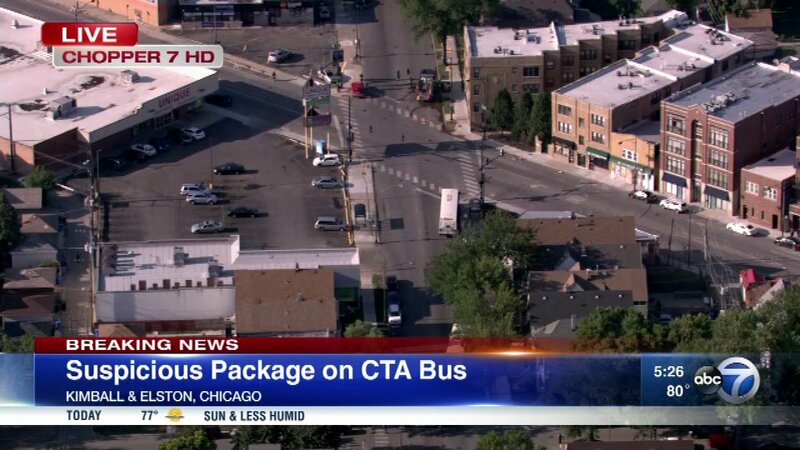 Traffic near an intersection on the Far Northwest Side was shut down Tuesday evening after reports of a suspicious package on a CTA bus. The bus, located near Elston and Kimball, was empty as the Chicago bomb and arson squad investigated. The incident started at about 4:30 p.m. when the bus stopped near the intersection. As the bus doors opened, a man standing outside the bus made threatening comments to the bus driver and then threw a bag or backpack onto the bus, according to Chicago police. The driver and bus passengers scrambled off the bus and authorities cordoned off the residential and commercial area as a precaution.